PS4 version reviewed. Review code provided by the publisher. When I was in my formative years, the biggest discussion on the playground was Digimon VS Pokémon. Fast forward to the present day and we’re all well aware that Pokémon came out on top, with the name being globally famous and Pikachu’s face being about as recognizable as a certain Disney mouse’s ears. 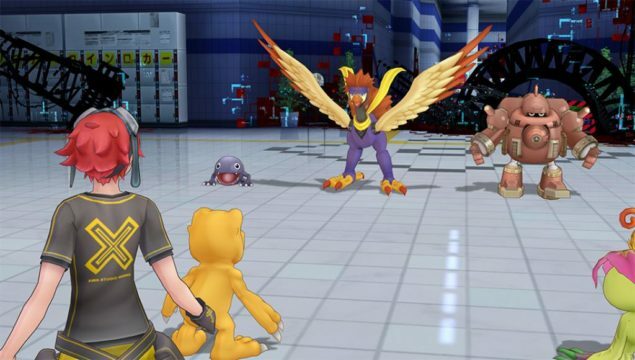 But Digimon didn’t go away – if Cyber Sleuth is to be believed, Digimon moved away from being the child-oriented Pokémon rival and charted a more mature path forward. Digimon: Cyber Sleuth is an interesting, flawed and yet an incredibly good attempt at recapturing the same audience it was vying for nearly 20 years ago. Digimon Story: Cyber Sleuth is set in a world with a strong virtual network called EDEN linked to almost everything. You can hop in and out of this virtual reality at will, which one day unfortunately causes you to lose your physical body to the virtual world, with your avatar appearing in the real world as a Matrix-like humanoid splodge of data. From here on you team up with a Detective agency, through little choice of your own, and end up doing odd-jobs for hours until the story picks up and you attempt to reclaim your physical form. 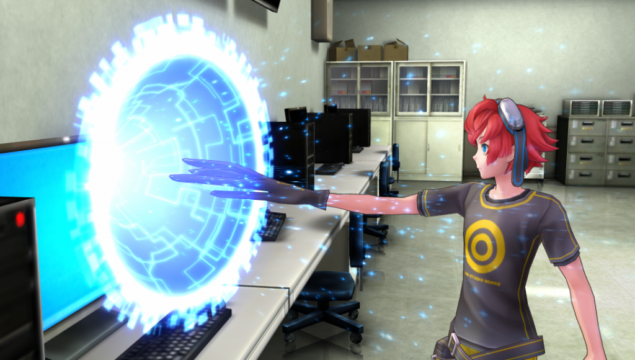 Cyber Sleuth is an RPG firmly within the vein of Pokémon, but for adults, essentially. Adult themes are in, characters with questionable clothing are in, a slightly more grown up storyline is in, and unfortunately many of the charming factors that make games like Pokémon so essential are mostly out. The core structure of raising a team of monsters to do battle with whilst exploring an occasionally aggressive environment is very much in place, and raising your wee creatures is still a pleasant experience. Possibly the greatest feelings of satisfaction come from seeing the Digimon you raised Digivolve into a meaner, stronger looking version of itself. Unfortunately, there’s not much else to draw satisfaction from in Cyber Sleuth, as so many elements in the game are as basic as possible. One of the charming factors that Pokémon-alikes usually hinge themselves on is the world they take place in, and this is one area where Cyber Sleuth unfortunately falls flat. Much of the action takes place inside EDEN, a world which could’ve looked like absolutely anything, but instead just looks like a generic “this is the digital world” that you’ve seen in so many sci-fi and other video games already. Everything is a crisp white in EDEN’s upper levels, whilst the more dangerous Digimon-inhabited depths look like generic blue and white hallways. It’s in these dungeons you get that huge reminder that this is a game built for the PS Vita. That’s not an insult to the Vita, of course – but if you’re playing Cyber Sleuth on PS4, visuals will never impress. Areas will never amaze. Dungeons look as bland as they are to explore, and it’s rare that random encounters act as a mechanic to draw myself away from the sheer tedium of exploration, but that’s what happens in this game. You get so bored of exploring, that those little battles which interrupt your progress feel like a breath of fresh air. The battles themselves take the form of typical team turn-based JRPG battles. A bar to the right of the screen tells you whether or not your own Digimon or your opponents will be taking their turns, which are of course decided by your speed stat. Different moves can heal, directly attack, attack multiple opponents, and so on. If you’ve played a turn-based JRPG before, I’m pretty sure you’ll understand how this works. One interesting addition is the Auto-Battle option, where you can sit back and watch the battles take place without any involvement. For some reason the Auto-Battle adores using the strongest move possible, even when it’s unnecessary – this drawback encourages the player to actually battle properly – but unfortunately, the battles are more often than not very, very easy. And between any and all of the action are long dialogue sequences – usually which lead you to talking to NPCs in order to find out where to go next, where you’re sure to find yet another long dialogue scene. I suppose talking to people would be the job of a detective – it’s just a shame that it all feels so tedious. 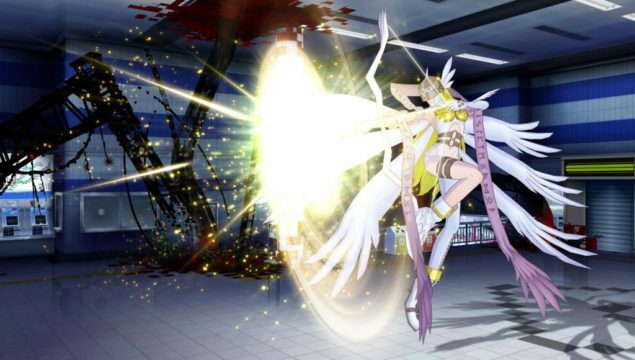 Digimon Story: Cyber Sleuth is actually a surprisingly good, if quite dull JRPG. It’s Pokémon but grown up, aimed squarely at those fans that might’ve watched the anime as kids, who’re now adults. It’s a shame then that the game just feels so bland. It’s not bad, not at all, just entirely vanilla. It’s par for a JRPG, and we can at least be happy that the Digimon license isn’t dead in the water – yet I struggle to recommend this game unless you can find it at either a good price, or you’re still a Digimon, all these years on.